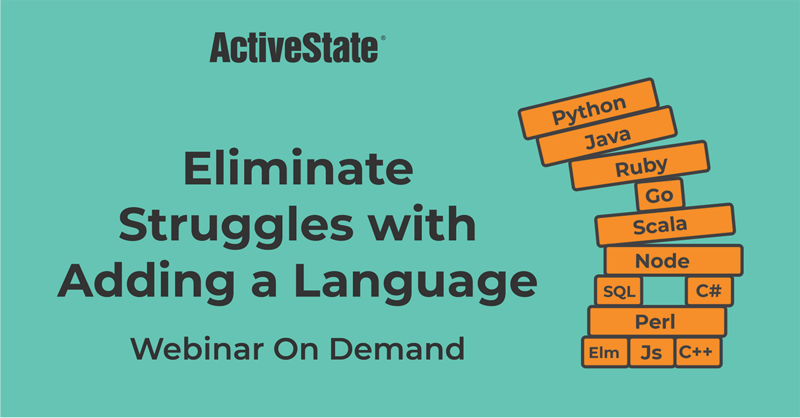 This on-demand webinar presents lessons learned and best practices for adding programming languages within an enterprise. ActiveState’s 2018 Developer Survey found that 67% of developers wouldn’t add a language because of the associated challenges. And companies struggle with adding a new programming language because of the required sourcing of skill sets along with evolving their development, testing and deployment environments with the tools needed for the new language. Yet new languages present benefit for innovation, improvements and enhancements. George is Director of Computing & Data Science for an embedded hardware and artificial intelligence company. He’s held senior leadership roles in software, data science, and research, including tenures at Apple’s New Product Architecture group and at New York University’s Courant Institute. He can talk on a broad range of topics at the intersection of e-commerce, machine learning, software development, and cloud security. He is an author on several research papers in computer vision and deep learning, published at NIPS, CVPR, ICASSP, and SIGGRAPH.